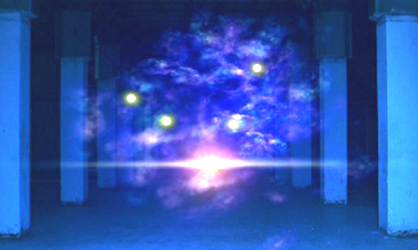 The 'V' constellation is the celestial alignment we see in the show from time to time. 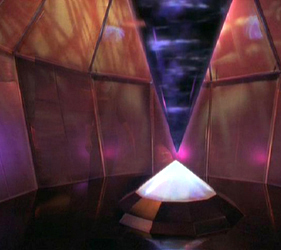 The 'V' shape is first seen in Michael's visions in the episode 'Balance' when he is sick, and later in Nasedo's cave he puts the healing stones into the wall, and they form a glowing 'V'. 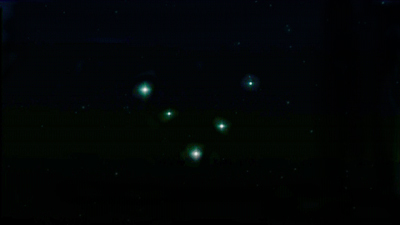 The 'V' constellation first seen in the actual sky in 'Balance' after Liz and Max 'take a step back'. We then see the 'V' in the flashes that Liz gets when Max kisses her. 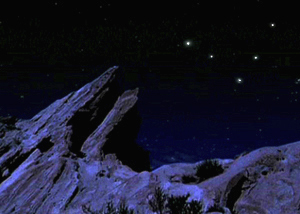 There is a flash of the 'V' in the cave wall and then in the constellation in the sky. 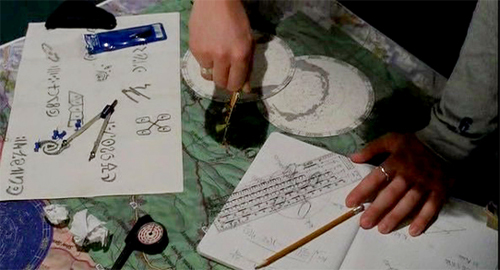 Michael figures out it is the constellation Ares, and uses it to decipher a location on the map in Nasedo's cave. It leads him to the library, and though he doesn't realize it, the 'destiny book' is hidden inside. 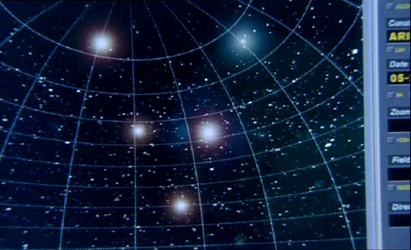 In the episode, 'Tess, Lies & Videotape', Max and Liz research the 'V' constellation, and this is what they find. It isn't exactly the ares constellation. They enter the current date and find it is Ares rotated with Venus added to make the top point of light. 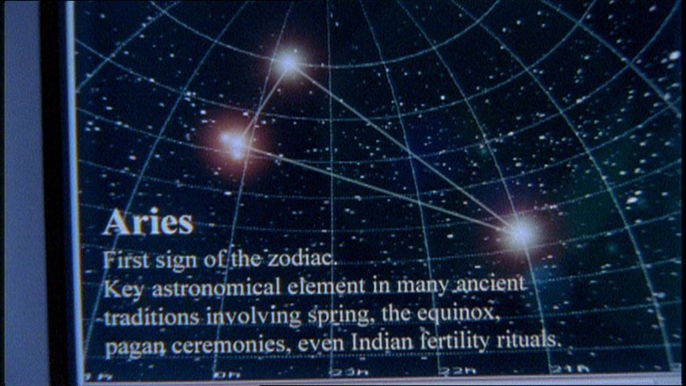 Liz mentions that Venus started moving into that position about the time Tess came to town, but it's not really true if you look back. 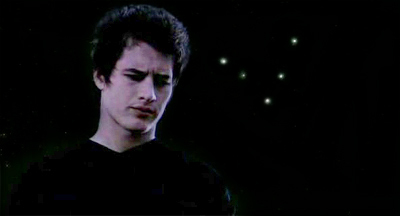 Michael has a vision of the 'V' Constellation in the episode 'Balance' and Liz actually sees it in the sky in the same epi. We don't have an exact date, but it is approximately four months before Tess showed up. 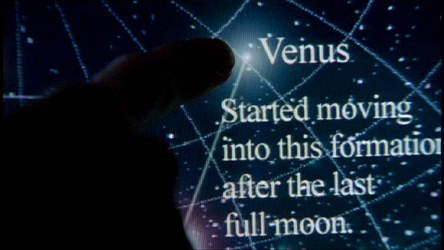 In 'Four Square', Isabel and Michael see the 'V' constellation in their dreams about 'mating'. Some believe that the granolith is another example of the importance of the 'V' shape. It is a 'V' resting on an inverted 'V'. 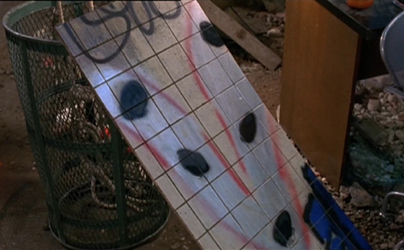 Later, we learn that the 'V' Constellation is also the royal seal of Max's house/regime/planet/whatever and it is 'stenciled' on his brain to prove he is the real king. 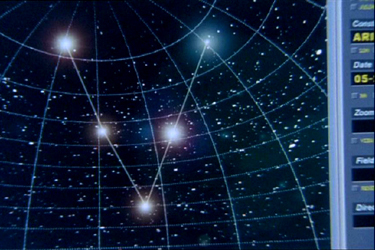 The five points of light represent the five planets of their system, and the bottom light represents their home world. How this fits in with the above info is anyone's guess. 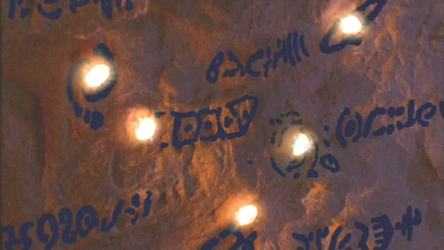 Did the aliens choose the 'V' constellation to use on the map because it reminded them of the royal seal? Why does Liz keep seeing it? What the constellations means, and why it keeps showing up in dreams and visions is never explained.